John has it all– economic and safety regulation, lobbying, corporate, mergers, etc. “His expertise will ensure ExpressJet has the programs, systems and infrastructure to be successful as we grow the airline with 25 new Embraer E175s and hire more than 600 pilots in 2019,” Karnik added in a written statement. 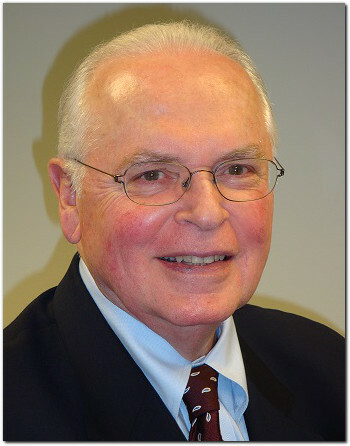 During John’s 22 years at Delta, he had direct and supervisory responsibility over legal matters relating to advertising, marketing, compliance programs, commercial transactions, competition law, government relations, domestic and international alliances, international operations, intellectual property, technology and commercial litigation. More than regulatory and lobbying assignments, he played a critical role in leading the airline’s involvement in the successful Orbitz Initial Public Offering. In addition, John brokered several high-profile alliances for the airline, including the initial Delta and Virgin Atlantic strategic alliance and frequent flyer partnership. John has handled a variety of government regulatory proceedings, including matters before the U.S. Department of Transportation and the U.S. Department of Justice. Varley joined Virgin America in 2010 as the San Francisco-based company’s senior vice president and general counsel. He was also responsible for the airline’s government affairs program and its award-winning sustainability efforts Varley had a key role in Virgin America’s successful initial public offering in 2014. Later, he was involved in Virgin’s merger negotiations with Alaska Airlines. United Airlines announced the award of 25 new Embraer 175-SC aircraft to ExpressJet as part of a deal that also includes the sale of ExpressJet from SkyWest Inc. to ManaAir LLC, in which United will own a minority interest. The sale is expected to be complete in early 2019. ExpressJet’s E175-SCs will be configured with 70 seats. Deliveries will begin in April 2019 and passenger service on the new aircraft is expected to begin in the summer. ExpressJet also operates a fleet of Embraer E145s and Canadair Regional Jet CRJ200s for United Airlines. John’s experience with Delta and Virgin America involved large national carriers. Both of those companies have earned excellent reputations for safety. If nothing else, those different perspectives will add to JetExpress’ 70 years of operations. Whatever JetExpress needs, John Varley will ably provide. Be the first to comment on "JetExpress adds John Varley to this expanding airline"